Get Boston Band essential facts below. View Videos or join the Boston Band discussion. Add Boston Band to your PopFlock.com topic list for future reference or share this resource on social media. Boston is an American rock band from Boston, Massachusetts, who had their most notable successes during the 1970s and 1980s. Centered on multi-instrumentalist founder and leader Tom Scholz, the band is a staple of classic rock radio playlists. Boston's best-known works include the songs "More Than a Feeling", "Peace of Mind", "Foreplay/Long Time", "Rock and Roll Band", "Smokin'", "Don't Look Back", "A Man I'll Never Be", and "Amanda". They have sold more than 75 million records worldwide, including 31 million albums in the United States, of which 17 million were from their self-titled debut album and seven million were for their second album, Don't Look Back, making them one of the world's best-selling artists. Altogether, the band has released six studio albums. 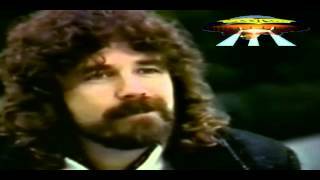 Brad Delp, the original lead singer. Along with Scholz, Delp was the only other person signed to Epic Records as Boston. During the late summer and early fall of 1976, Boston attracted publicity due to the record sales. However, there was "a conscious effort to de-emphasize Scholz as the total mastermind behind Boston". 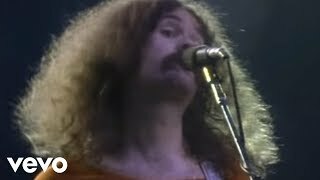 After opening for Black Sabbath, Blue yster Cult, Foghat and others in the autumn, the band embarked on a headlining tour in the winter and spring of 1976-1977 to support the album. This helped establish Boston as one of rock's top acts within a short time, being nominated for a Grammy award as a "Best New Artist". Boston was the first band in history to make their New York City debut at Madison Square Garden. In late 1979, Scholz began writing new material, but Boston's former co-manager, Paul Ahern, argued that, according to an agreement Scholz had signed years earlier with Ahern, Ahern owned a percentage of all songs Scholz wrote from that point on. Delayed further by the dispute, Scholz suggested that in the meantime the individual members should work on whatever other projects they might be considering. Goudreau then decided to record a solo album that featured Boston members Delp and Hashian, and which was recorded with the help of Paul Grupp, an engineer and producer familiar with Scholz's studio techniques. The album, released in 1980, was titled Barry Goudreau and featured the minor hit single "Dreams". There was tension when CBS's marketing connected Goudreau's solo album to Boston's signature guitar sound, despite Scholz not having played at all on this album. Scholz objected to the ad copy, but it became irrelevant when Epic dropped promotion on Goudreau's album citing lack of interest. Goudreau left the band in 1981 and formed Orion the Hunter. Delp contributed vocals and co-wrote songs on the debut album, but returned to Boston and recorded vocals on the third Boston album. While Scholz and Delp were recording new material for the third Boston album, CBS filed a $60 million lawsuit against Scholz, alleging breach of contract for failing to deliver a new Boston album on time. During this same period, Scholz founded his high-tech company Scholz Research & Development (SR&D), which made amplifiers and other musical electronic equipment. Its most famous product, the Rockman amplifier, was introduced in 1982. The legal trouble slowed progress toward the completion of the next album, which took six years to record and produce. Joining Scholz in the album's development again were Delp and Jim Masdea. In 1985, guitarist Gary Pihl left Sammy Hagar's touring band to work with Scholz as both a musician and an SR&D executive. As CBS v. Scholz played out in court, CBS opted to withhold royalty payments to Scholz, hoping to force him to settle on unfavorable terms. The lawsuit's first round was eventually decided in Scholz's favor, and Scholz moved the band to MCA Records. Despite the adversity, progress continued to be made on the third Boston album. A tape of one of the songs, "Amanda", leaked out of the studio in 1984. The song became the lead single when Third Stage was finally released on September 23, 1986. The album and lead single "Amanda" both went to No. 1 on Billboard, and the subsequent singles "We're Ready" and "Can'tcha Say" were top 10 and top 30, respectively. The group headed off on tour to promote Third Stage in 1987 and 1988. Third Stage was played in sequence in its entirety during the shows, with expanded arrangements of some cuts. Boston opened with "Rock and Roll Band" and brought back the original drummer, Jim Masdea, to play drums for this one song. For the tour the group was joined by Doug Huffman and David Sikes, both of whom stayed with the band into the mid-1990s. The CBS case took seven years to run its course, and in April 1990 Scholz won. By spring 1990, Scholz was back in the studio working on the band's fourth studio album. Later that year, Delp told Scholz he wanted to concentrate on other projects, and might not be available for some time. With Delp's departure, Scholz was then the last remaining original member. Before he left, Delp co-wrote with Scholz and David Sikes the song "Walk On", which eventually became the title track of the new album. Delp subsequently joined Barry Goudreau's new band, RTZ. Scholz eventually replaced him with Fran Cosmo, who had been in Goudreau's previous band Orion the Hunter. For the second album in a row, and for the second time in a decade, Scholz's work was delayed by renovations to his studio. In the end, eight years passed between Third Stage and Walk On, which was released in June 1994. Walk On was certified platinum by the RIAA, and reached No. 7 on the Billboard Top 200 Albums chart. Unlike Boston's previous albums, it failed to chart in the top 5. It produced one hit single, "I Need Your Love", which was widely played on some rock radio stations. Delp reunited with Boston at the end of 1994. Their first appearance was for two benefit shows at the House of Blues on December 12-13, 1994, in Cambridge. The band also handed a check of $5,000 to Globe Santa and another check of $5,000 to Operation Christmas in Fall River. The group, with Delp now back in the band, toured in the summer of 1995 with both Cosmo and Delp combining vocals. By that time drummer Huffman had been replaced by Curly Smith, who was previously with Jo Jo Gunne. Following the conclusion of the "Livin' For You" tour in 1995, Scholz announced that a greatest hits album would be released. Initially planned for release in August 1996, the album was pushed back to a 1997 release date. Boston released a compilation album in 1997, titled simply Boston: Greatest Hits. The album featured all of the band's hit singles except "We're Ready", "Can'tcha Say (You Believe In Me)/Still In Love", and "I Need Your Love" along with three new songs, "Higher Power", "Tell Me", and an instrumental version of the "Star Spangled Banner". Smith and Sikes left the band in late 1997 and recorded an album together. Scholz headed back to the studio in 1998 to begin work on a fifth album, which eventually turned out to be Corporate America. The title track of "Corporate America" was uploaded by Tom Scholz to MP3.com under the pseudonym of "Downer's Revenge" in early 2002 in order to test the album's appeal to a younger demographic. The song reached No. 2 on the progressive rock charts on the website for two weeks. November 2002 marked the release of Corporate America on the independent label Artemis Records. This album featured the largest Boston lineup ever; returning members included Delp and Cosmo on guitar and lead vocals, Scholz on lead guitar and organ, and Gary Pihl on guitar, along with new members Anthony Cosmo on rhythm guitar, Jeff Neal on drums and Kimberley Dahme on bass and vocals. Dahme, Delp, and Cosmo all contributed lead vocals to the album. The group embarked on a national tour in support of the album in 2003 and 2004. In 2006, the first two Boston albums appeared in remastered form. On March 9, 2007, lead singer Delp committed suicide at his home in Atkinson, New Hampshire. Police found him dead in his master bathroom, along with several notes for whoever would find him. In the bathroom where he committed suicide, two charcoal grills were found on the bathroom fixtures, and the door sealed with duct tape and a towel underneath. Police Lt. William Baldwin called the death "untimely" and said that no foul play was indicated. Delp was alone at the time of his death, according to the police report. He was found by his fiance;e, who saw a dryer hose attached to his car. According to the New Hampshire medical examiner, his death was the result of suicide by carbon monoxide poisoning as evidenced by carboxyhemoglobin. Delp's last concert with Boston was performed at Boston Symphony Hall on November 13, 2006, at a concert honoring Doug Flutie. 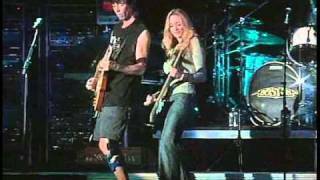 A concert in honor of Delp named "Come Together: A Tribute to Brad Delp" occurred on August 19, 2007, at the Bank of America Pavilion in Boston. The concert included, in order of appearance, Ernie and the Automatics, Beatlejuice, Farrenheit, Extreme, Godsmack, RTZ, Orion the Hunter, and finally the current version of Boston. All of the living members of Boston were invited to perform in the concert. The singers for Boston included Michael Sweet of Stryper, former band member Curly Smith, band member Kimberley Dahme, and a Boston fan from North Carolina named Tommy DeCarlo, who was chosen to sing based on his performances of Boston cover songs on his MySpace page. Another former Boston vocalist, Fran Cosmo, was unable to sing because of a ruptured blood vessel in his throat, but did play guitar. Jim Masdea, Fran Sheehan, and even Barry Goudreau joined Scholz and the rest of the band on stage for the finale, "Don't Look Back". Curly Smith and Kimberley Dahme split the lead vocal on the finale. Sib Hashian, while present, refused to go on stage with the other Boston alumni, citing discomfort with Tom Scholz. The ongoing conflicts among the surviving band members spilled over to the 2008 Presidential campaign. Barry Goudreau appeared with Mike Huckabee and played with him at some rallies in New Hampshire. Huckabee used "More Than a Feeling" as a campaign theme song. 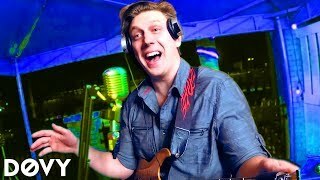 Scholz, a self-described "Obama supporter", sent an open letter to Huckabee in February 2008 stating that the band had never endorsed any candidate, and that he had never authorized the use of "More Than a Feeling" as Huckabee's theme song. Scholz made a point of saying that he, and not Goudreau or Sheehan, actually played all the guitars on "More Than a Feeling" as well as most of Boston's songs. Huckabee did stop using "More Than a Feeling" as a theme song. In the spring of 2008, Scholz and Sweet introduced a new Boston lineup, which subsequently did a North American summer tour, playing 53 dates in 12 weeks (on a double bill with Styx). Scholz was the only founding member of Boston to play on the tour, although longtime member Gary Pihl was also part of the band, and Dahme and Neal returned on bass and drums, respectively. DeCarlo and Sweet shared lead vocals. In January 2009, Greatest Hits was re-released as a remastered disc. Michael Sweet left the band in August 2011 in order to focus on Stryper. In 2012, guitarist and vocalist David Victor joined the band, beginning in the studio, where he contributed vocals to several tracks on the album in progress. 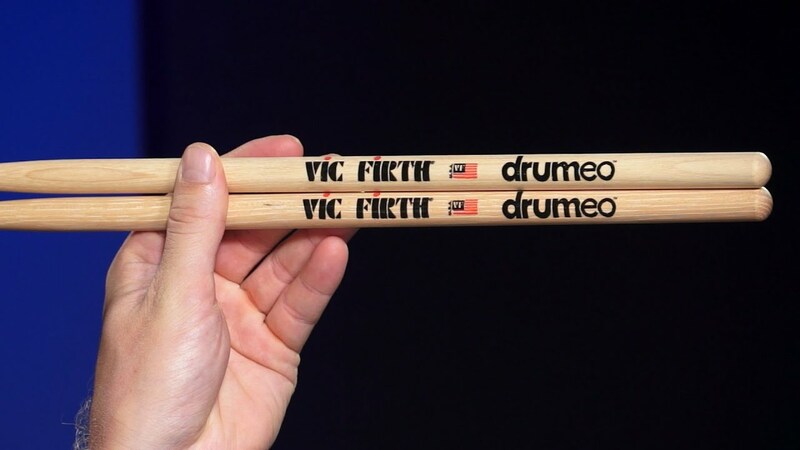 Scholz and Pihl led the band on a 2012 North American tour, beginning on June 28, 2012, at the Seminole Hard Rock Live arena in Hollywood, Florida and ending on September 8 at the U.S. Cellular Grandstand in Hutchinson, Kansas. Victor and DeCarlo shared lead vocals, with drummer Curly Smith returning for the first time in over a decade, and former Stryper member Tracy Ferrie on bass. Neither Dahme nor Neal played on the tour. 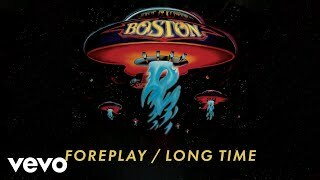 Boston's sixth album, Life, Love & Hope, was released on December 3, 2013, by Frontiers Records; it includes lead vocals from Brad Delp, Tommy DeCarlo, Kimberley Dahme, David Victor, and Tom Scholz. Work on the album started in 2002. On December 11, 2013, Boston re-recorded a Christmas song, "God Rest Ye Metal Gentleman 2013" (previously released in 2002 as "God Rest Ye Merry Gentlemen"). In 2014 Boston embarked on the "Heaven on Earth Tour" spanning the United States and Japan with a lineup including Scholz, Pihl, DeCarlo, Victor and Ferrie. Dahme returned, this time performing rhythm guitar and vocals, and drumming duties were split between Neal and Smith, with Neal handling the first leg of the tour. Victor departed the lineup partway through the tour for unspecified reasons. In his stead, Siobhan Magnus joined the tour as a guest vocalist in July, performing lead vocals on 'Walk On'. 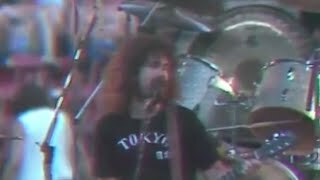 On March 22, 2017, former drummer Sib Hashian died after collapsing during a non-Boston related performance. 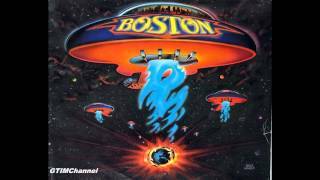 One of the themes of Boston's album covers is the presence of a guitar-shaped spaceship, ostensibly a generation or colony ship carrying the city of Boston inside a clear dome, with the city's name emblazoned across the front. The original spaceship was designed in 1976 by Paula Scher and illustrated by Roger Huyssen with lettering by Gerard Huerta for Epic Records. 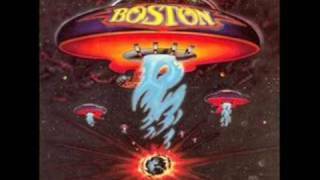 Boston - Two long lines of guitar shaped starships flee a planet that is breaking apart. The ships all have blue flames coming out of the bottom. Don't Look Back - The Boston ship is flying low or perhaps hovering over a grassy, crystalline planet. The ship has searchlights on. Third Stage - The Boston ship is either headed towards, or perhaps has just undocked from, a large flat spaceship resembling a bank of pipe organ pipes. Walk On - The Boston ship is shown crashing through a rock outcropping. Greatest Hits - The Boston ship is flying low over a planet with turquoise rocks and a turquoise tower in the distance. Corporate America - The Boston ship is flying towards an Earth-like planet. Life, Love & Hope - The Boston ship is flying in space, near a nebula. Their spaceship also appeared on their tours in the late 1980s, early 1990s, and early 2000s in the form of a giant lighting rig and accompanied on stage by their giant pipe-organ set piece, which is known to Boston insiders as Bertha because of its sheer size. 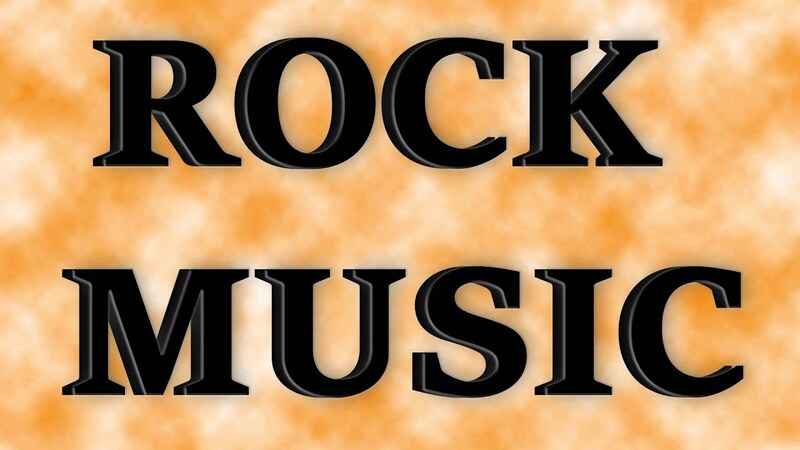 Boston's genre is considered by most to be hard rock, while combining elements of progressive rock into their music. 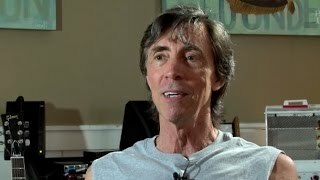 Boston founder, guitarist, and primary songwriter Tom Scholz's blend of musical styles, ranging from classical to 1960s English pop, has resulted in a unique sound, most consistently realized on the first two albums (Boston and Don't Look Back). 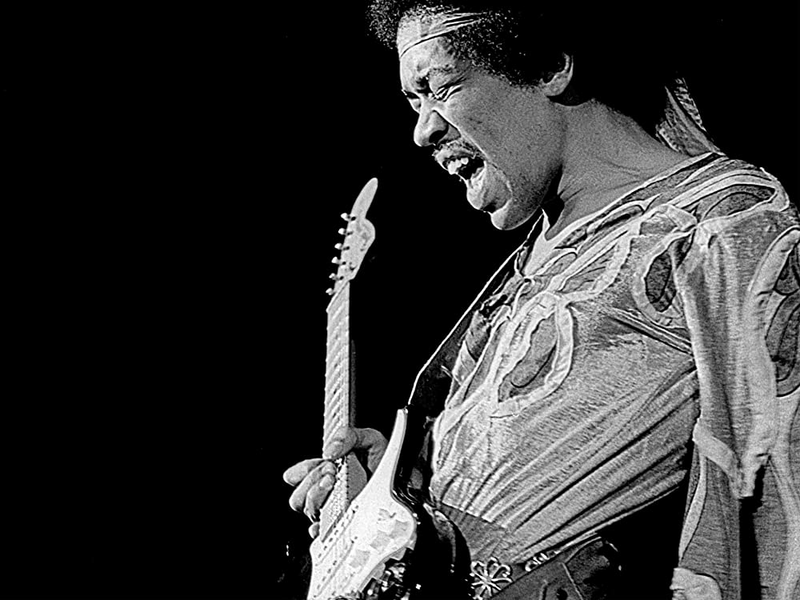 This sound is characterized by multiple lead and blended harmonies guitar work (usually harmonized in thirds), often alternating between and then mixing electric and acoustic guitars. The band's harmonic style has been characterized as being "violin-like" without using synthesizers. Scholz is well-regarded for the development of complex, multi-tracked guitar harmonies. 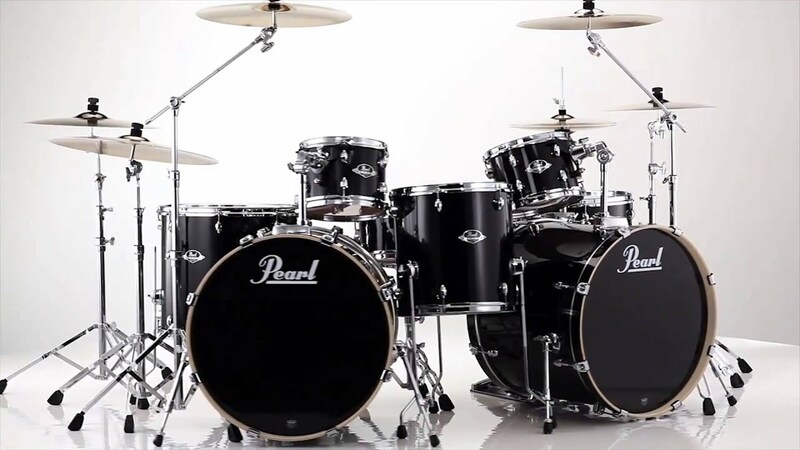 Another contributing factor is the use of handmade, high tech equipment, such as the Rockman, used by artists such as Journey guitarist Neal Schon, the band ZZ Top, and Ted Nugent. Def Leppard's album Hysteria was created using only Rockman technology. Scholz's production style combines deep, aggressive, comparatively short guitar riffing and nearly ethereal, generally longer note vocal harmonies. A heavier, lower, and darker overall approach came in the next two albums (Third Stage and Walk On). 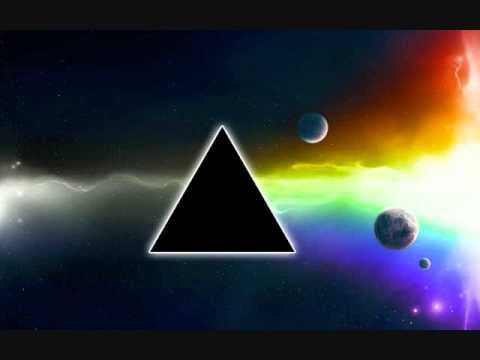 The original track "Higher Power", on the Greatest Hits album, exhibits a near Germanic and almost techno influence with its sequencer-sounding keyboards, a sound most fully realized on Corporate America's title track. Tom Scholz also credited former singer Brad Delp with helping to create Boston's sound with his signature vocal style. 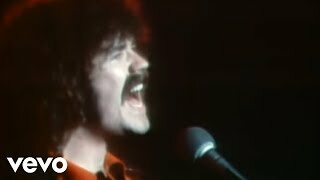 Delp, who was strongly influenced by the Beatles, was well known for his extended vocal range, shown on hits such as "More Than a Feeling". ^ "allmusic ((( Boston - Overview )))". Allmusic. Retrieved 2009. ^ "RIAA Best Selling Artists - Boston". RIAA. Archived from the original on July 1, 2007. Retrieved 2009. ^ "RIAA Gold & Platinum". RIAA. November 20, 2003. Archived from the original on July 25, 2013. Retrieved 2009. ^ a b c d e f g h i j "Official Boston Website - History". Archived from the original on June 1, 2012. Retrieved 2009. ^ "Archived copy". Archived from the original on June 8, 2012. Retrieved 2012. ^ "MIT Alumni Association's Infinite Connection - MIT Alumni Association's Infinite Connection". Retrieved 2016. ^ "Feelin' Satisfied: An Interview with Tom Scholz of BOSTON". thirdstage.ca. Retrieved 2012. ^ Scholz, T. "BOSTON shows, myths, and truths". Rock History Book. Retrieved 2012. ^ "No those aren't violins; they're electric guitars through a Rockman." "Official Boston Website". Archived from the original on June 8, 2012. Retrieved 2013. ^ a b "The Chuck Miller Creative Writing Service: Boston". Chuckthewriter.com. Retrieved 2012. ^ "Musician Magazine 1987". Gonnahitcharide.com. Retrieved 2012. ^ NOVA's Secret Life of Scientists and Engineers (May 22, 2014). "Tom Scholz: The Start of It". Retrieved 2016 - via YouTube. ^ Zito, Tom (December 13, 1976). "Boston Group and How It Grew". Los Angeles Times. p. F20. On Aug. 23, 1976, their first LP simply titled "Boston" was shipped to record stores. ^ "Music | Top 5 best-selling debut albums". Entertainment.ie. 2013-11-20. Retrieved . ^ a b c d e f g h i j k l m n o p q r s t u "SECTION 1: HISTORY OF BOSTON v2.01". Boston.org. Archived from the original on February 14, 2009. Retrieved 2009. ^ Rockwell, Jorn (February 12, 1977). 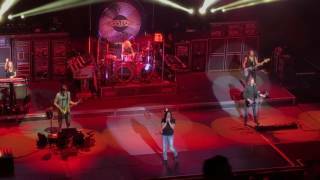 Rock: Boston Heads a Triple Bill. New York Times. ^ "Music Albums, Top 200 Albums & Music Album Charts Billboard.com". Billboard. Retrieved 2009. ^ a b Wild, David. "Official Boston Website - Don't Look Back - 1978". Archived from the original on May 4, 2009. Retrieved 2009. ^ "RIAA - Gold & Platinum - August 17, 2009". RIAA. Archived from the original on February 25, 2013. Retrieved 2009. ^ a b "U.S. First Circuit Court of Appeals - USCA1 Opinion - 95-1146.01A". Retrieved 2014. ^ Grupp, Paul. ""Paul Grupp - Discography Credits ("worked with")"". Retrieved 2012. ^ Scholz, Tom. "Official Boston Website - Boston". Archived from the original on June 8, 2012. Retrieved 2009. ^ "SR&D Rockman products list". Rockman.fr. Retrieved 2012. ^ Scholz, Tom. "Official Boston Website - Third Stage - 1986". Archived from the original on June 8, 2012. Retrieved 2009. ^ "Boston". The New Encyclopedia of Rock & Roll. New York, NY: Simon & Schuster Inc. 1995. 0-684-81044-1. ^ Scholz, Tom. "Official Boston Website - Walk On - 1994". Retrieved 2009. ^ Morse, Steve (December 13, 1994). "SCHOLZ AND BOSTON ROCK TO PERFECTION FOR A CAUSE". Retrieved 2009. ^ "Official Boston Website - David Sikes". Retrieved 2009. ^ a b c Simon, Bruce (September 18, 2002). "Boston's New Song Popular--Just Not Under The Band's Name". Yahoo!. Retrieved 2009. 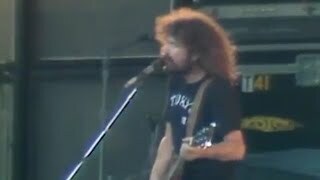 ^ a b c d e "Brad Delp: Details Emerge About His Tragic Suicide". Guitar World. April 27, 2007. Archived from the original on August 30, 2009. Retrieved 2009. ^ Benson, Jessica (March 10, 2007). 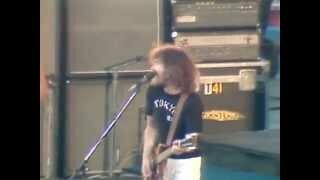 "Brad Delp, lead singer for band Boston and Merrimack Valley resident, dies". Eagle Tribune. Retrieved 2009. ^ Rodman, Sarah (July 2, 2007). "Brad Delp-Boston Tribute Take Two". The Boston Globe. Retrieved 2009. ^ "Tommy DeCarlo :: Home". Tommydecarlo.com. Retrieved 2009. ^ "Boston find new lead singer - on MySpace". MusicRadar.com. May 30, 2008. Retrieved 2009. ^ "Boston (band) in pictures and photos". Retrieved 2012. ^ a b c Ramer, Holly (February 15, 2008). "Rocker Tells Huckabee to Lay Off Song". Fox News. Retrieved 2009. ^ a b ""More Than a Feeling" Writer Says Mike Huckabee Has Caused Him "Damage"". Rolling Stone. February 14, 2008. Retrieved 2009. ^ "Michael Sweet Departs Boston | Rock News | News". Planet Rock. August 11, 2011. Retrieved 2012. 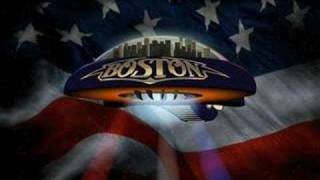 ^ "The Band Boston Fan Site - David Victor". Gonnahitcharide.com. Retrieved 2012. ^ "The Band Boston Announces 2012 Tour Dates". February 15, 2012. Retrieved 2012. ^ "Archived copy". Archived from the original on December 27, 2012. Retrieved 2012. ^ "Life Love & Hope by Boston". Retrieved 2016. ^ "Boston Release New Christmas Single, "God Rest Ye Metal Gentlemen"". Guitarworld.com. December 11, 2013. Retrieved 2016. ^ "Just another band out of BOSTON - Official Website". Retrieved 2016. ^ "Meet Nick D'Virgilio". Third Stage. April 30, 2015. Retrieved 2017. ^ Collis, Clark (March 28, 2016). "Boston to end 40th anniversary tour with rare show in Boston". Entertainment Weekly. Retrieved 2017. ^ Giles, Jeff (March 30, 2017). "Former Boston Drummer Sib Hashian Dead at 67". Ultimate Classic Rock. Retrieved 2017. ^ Britt Bickel (21 March 2014). 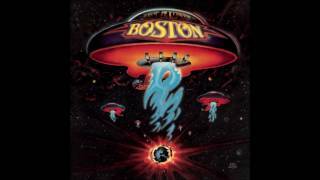 "Gary Pihl Reveals The Concept Behind Boston's Iconic Spaceship Album Covers". K-Earth 101. Retrieved 2017. ^ Heller, Steven. "More Than an Album Cover". The Atlantic. The Atlantic. Retrieved 2015. ^ Nicholson, Kris (October 7, 1976). "Boston: Boston Music Reviews". Rolling Stone. Archived from the original on March 17, 2007. Retrieved 2009. ^ "No Synthesizers. That's right! Honest! And no violins either. In other words, the Boston sound is powered by old, straight ahead rock-n-roll equipment, as opposed to midi-interconnected-computer-sequenced synthesizers." "Official Boston Website". Archived from the original on June 8, 2012. Retrieved 2013. ^ "Brad Delp interview by Par Winberg". Gonnahitcharide.com. Retrieved 2012. ^ "RIP Brad Delp (1951-2007)". Pittsburg Post-Gazette. March 12, 2007. Retrieved 2009.